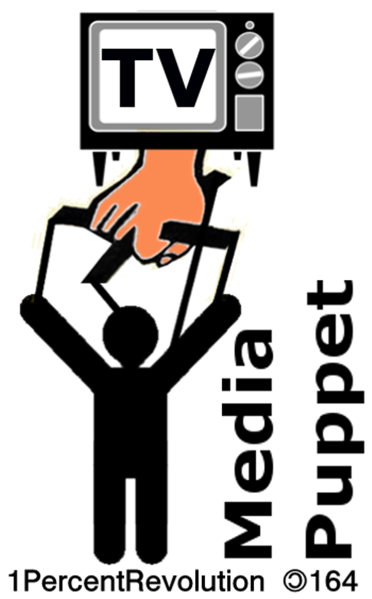 The second in a two-part series on A New Media, A New Politics. Read the first part here. The front of a house in New Delhi. Six workmen are loading up some large objects on to a lorry. Amid the heave-ho, there is a lot of argument on how to lift and carry. They are clearly new to the job. Every now and then, one of them lets go a corner of a heavy object, causing panic among others and an uproar. Inside the house, a political debate is broadcasting live from the studio of a well-known news channel. The TV screen has six people. There is a lot of argument on how to lift and carry the country. India’s new political faces are on the job. Every now and then, one of them lets go a statement that causes an uproar. Between the six workmen outside and the six TV talking heads inside, is the front room of the house. In this room sits a new and recognisable face of India’s politics, a spokesperson of a major political party, in front of a camera that is hooked to an outdoor broadcasting (OB) van parked out on the street, running a noisy diesel generator. The spokesperson is beaming into the debate, the statements made in the room appearing on TV after a delay of a few seconds. That’s how long it takes for the satellite signal. Our politics has never been so aLive – not on TV, in any case. If volubility is an indicator of political health, India is in the pink. The purveyors of this democratic vigour are TV news show anchors who drag over the coals the protagonists of this drama-spokespersons of political parties. The equal-share presentation format of the TV news show provides six faces, a diversity of character and ideology, to the accompaniment of the thunder and fury of an aspirational India that is impatient to improve its lot. Inside the political world, TV news is a completely different beast. Political parties took TV discussions seriously till about five-six years ago, when there were not so many news channels. Now, at best, it has some outreach and some nuisance value; at worst, it is regarded low-hanging fruit for aspiring politicians. Especially those averse to taking the usual route of municipal elections, then assembly elections and finally making their way to the Lok Sabha. For many, becoming a spokesperson is the non-political route to politics. When did parties started appointing spokespersons? In the years following Independence, there were only a few newspapers; they got what they needed from the ministers and top leaders of the parties. A general secretary in change of press briefed reporters about the Congress, if need be. Even top leaders were accessible to reporters and the common people. The politics on the street had always been noisy, but the serious political debate happened in the confines of Parliament. Parties did not need spokespersons. The Congress took the lead in the mid-80s to appoint spokespersons. Among the first few formally appointed spokespersons were Chandulal Chandrakar and MJ Akbar in the mid-to late-80s. Seasoned reporters mention others like Ajit Jogi in the late ’90s. But two people came to symbolise spokesmanship like no others: VN Gadgil for the Congress in the late ’80s and ’90s, and JP Mathur for the BJP in the ’90s. “Gadgil was an encyclopaedia on the Congress party and India’s freedom movement,” says a source in the Congress party. “He did not need to consult anybody to give the party’s position on any issue, although he knew all the top leaders,” says Rasheed Kidwai, an experienced Congress reporter and author of the book 24 Akbar Road. Political correspondents recall Gadgil as a consummate spokesperson. He’d sit in the small office he had at his residence on Delhi’s Pandara Road, rub tobacco on his palm and answer all questions posed to him in a calm voice. “When you left his office, you had this warm feeling that you had got everything you needed when, actually, he’d sent you off with what he wanted to say,” says a journalist who reported on the Congress in the ’90s. The BJP’s counterpart to Gadgil in the tumultuous ’90s was JP Mathur, one of the founders of the party, as also the Bharatiya Jana Sangh, in 1952. Remembered as a quiet and unassuming man, Mathur was always available – if a journalist wanted to speak to him, Mathur could go to their house. He had joined the Rashtriya Swayamsevak Sangh in 1942, and was a contemporary of Atal Bihari Vajpayee, Bhairon Singh Shekhawat and Lal Krishna Advani. People like Gadgil and Mathur were not mere spokespersons – they were ambassadors. Their clout within the party meant they had no need to play to the galleries. They could admit to contradictions in the party and were always courteous to their opponents within and outside the party. But then, those were different times. TV news meant the sleepy Doordarshan channel. The TV news boom had not happened yet. The changes this ushered into Indian politics have been confusing. Take the spokesperson, for instance. India has 300-400 current affairs channels, of which about 150 broadcast 24×7. Of these, 10-15 channels have a presence across several states (they are sometimes called ‘national’ channels, sometimes ‘mainstream’ channels, whatever those terms mean), though regional channels have a greater reach in their states. “There is an human resource crisis in TV news. The average TV journalist is not too unlike the average TV viewer. For a bulk of them, history begins in 1992,” says the head of a Hindi news channel. The sudden growth of news TV is not matched with a concomitant growth in training and skill development – for the journalists as much as for the spokespersons. These channels burst into life and then quickly settled into the format that cost the least: the TV debate. All day long, guest coordinators in these hundreds of channels burn the phone lines to assemble a panel of the distinguished or, at the very least, distinguishable panellists. (Read Part 1 of this series for more on this). The particular requirements of TV plus the location of the Supreme Court in Delhi have led to a seemingly natural pool of spokespersons: lawyers. Of course, several spokespersons, some of them quite successful, are not lawyers. Besides, lawyers are not new to politics – in fact, parliamentarians are called lawmakers. MK Gandhi and BR Ambedkar were lawyers, as were Jawaharlal Nehru and Vallabhbhai Patel. But they are remembered as leaders, not as lawyers; their memorable speeches do not portray a lawyer. Gandhi, in fact, produced a strong criticism of lawyers. Regardless, lawyers have only gained prominence in Indian politics. Political discussion on TV have acquired the trappings of a courtroom drama so naturally it is difficult to step away from the format and see it for its strangeness. One TV show actually uses the setting of a people’s court as a format for an interview, with the anchor playing the public prosecutor. Even when the format isn’t transparent, the anchor – and by extension, the viewer – sits as a judge. Spokespersons appear on behalf of their respective parties. Allegations and counter allegations are levelled, positions defended, the evidence presented by honourable opponents is denounced, and counter evidence screamed back with greater force. Discussions are stalled or dragged with bluster. In fact, to cut through the noise of several people talking at the same time, the anchors appear to be beating a hammer, asking for silence. A well-known anchor often asks spokespersons to “complete their argument”. Spokespersons cut into other panellists like lawyers raising an objection, which the anchor may sustain or overrule. It is no wonder that political debates never end with a coherent conclusion – they just give another date for argument – tareek pe tareek, as Sunny Deol’s character once famously said. “Professional legal training gives lawyers a certain edge in politics. But just being a successful lawyer does not make you a good spokesperson,” says Ravi Shankar Prasad, a Supreme Court lawyer and Deputy Leader of Opposition in the Rajya Sabha. Before his elevation, Prasad spent seven years as a spokesperson for the BJP, four of them as chief spokesperson. He clarifies that he is a spokesperson because of his political work of several years with the BJP, and often ticks off people on air for asking him legal questions when he is present in his capacity as a spokesperson only. “I tell them they should meet me in my chamber,” he says. The increasing presence of lawyers on TV news has its upside, too. A veteran journalist points out that political debates today are far more detailed, researched and well argued than earlier. A few spokespersons have even hired researchers and arrive at the studio well prepared. While the more senior and important political leaders clearly avoid TV appearances nowadays, the ones who do appear take it far more seriously. With general elections looming, the media units of parties are working overtime to provide spokespersons with detailed briefs since TV shows offer free publicity. As an aside, Ravish Kumar, a popular anchor for a Hindi news channel, says TV news has also politicised women, who now take a greater interest in political discussions. “I get solid, substantial feedback on politics from women who would otherwise be regarded as viewers of afternoon soap operas,” he says. Abhishek Manu Singhvi is a highly successful lawyer and has been a spokesperson for the Congress for about a decade. He distinguishes politicians who have a law degree from those who are practicing lawyers. He agrees legal training gives a certain cogency of analysis and communication, but that’s where the overlap ends. He gives the example of his changing roles through a day. “I could be arguing a case in the court in the morning, but it will be a completely different language that I would use during a debate in the Rajya Sabha, even if it is on the same topic on which I have argued a case earlier in the day,” he says. “Likewise, if I address a press conference later that afternoon, and a political rally in Meerut later that evening, I will use entirely different sets of idiom.” He outlines four different idioms in four different situations. Prasad and Singhvi sound reasonable, but even the way lawyers explain their presence in politics sounds like a well-organised legal argument, broken down in points, leaving one silent. It is true that spokespersons, including some lawyer-politicians, tend to lean towards the Rajya Sabha, the shortcut route to Parliament. A famous lawyer who has inhabited the Rajya Sabha and was a regular on TV news, before becoming too big for it, is known for calling himself a leader of the classes as opposed to a leader of the masses. Also, political leaders of the old school are known for their hospitality – it was a given that a politician had to appear generous to anybody who came visiting. It was a given in public life. Some of the younger political leaders still bother to ask the visitor or journalist if they would like a cup of tea. But journalists have a ready list of politicians who do not ask visitors even for a glass of water, even when they themselves may be eating or drinking. Does it matter? Only that this crowd tends to be Rajya Sabha politicians and lawyers who do not have to face voters and are used to charging by the hour. They are often the most difficult guests on TV. Right now, it’s not much fun to be a Congress spokesperson. One, the mood inside TV studios is quite aggressive in nailing the government on several fronts – it makes for good ratings. Two, the Congress has to divide its limited human resources between the government and the party. “In any case, a family-run party does not give much freedom of expression to its people to argue and talk. Congress spokespersons are not used to expressing themselves,” says a senior reporter who has covered the party for 15 years. In the Congress, who you are tends to carry more weight than what you do. “The party does not promote merit. It’s only natural that it has been taking a beating in the TV studios from the BJP, which has historically relied on the media more than the Congress, and has greater tolerance to criticism by the media. There is greater room for merit in the BJP,” adds the senior reporter. Reporters covering the Congress point out the greater truth: the party does not believe it needs the media. It has always had a certain arrogance about the media. But TV news is changing that and forcing its hand. It’s apparent the party is taking a beating. On channel after news channel, Congress spokespersons sound defensive on issue after issue. From the topical storm that Anna Hazare created (which disappeared as suddenly as it arrived) to the recent U-turn that Ajay Maken had to take when Rahul Gandhi crashed his press conference to condemn the government ordinance to save the membership of convicted legislators. In its effort to fight back, the Congress’s old-school chief spokesperson Janardan Dwivedi was replaced in June this year by Ajay Maken. About 20 years younger to Dwivedi, Maken quit a cabinet post to head the media unit to begin the fire-fighting. Since taking over, he has overhauled the on-air wing of the party. Maken has tried a slew of measures to improve the Congress’s image in the media. This includes lining up a new lot of spokespersons and training them. Each state unit of the party suggested five names. They were screened down to about 40 and a five-day training workshop was organised for them in Delhi. Among those who addressed these future spokespersons was Rahul Gandhi. The irony was lost on nobody since the Congress vice-president is an enigma, known more for his silence and reluctance than for clarity and on-air charisma. But the Grand Old Party does not suffer a makeover so readily. The workshop participants were given reading material running into 1,200 pages to help them show how well the Congress-led government has done over the past nine years. In the age of 140 characters, sound bytes and jump cut editing, that is comparable to giving horse riding lessons to a driving licence applicant. A former All India Congress Committee functionary who attended the five-day workshop, which included mock TV debates, was upbeat about the exercise. “The overarching theme was how to generate trust for the party among the supporters and voters. There was also a subtle recognition that the party is not doing well on TV and that political debates have a wider reach now than before, even if the nature of that reach is not understood well,” he says. In an effort to control the Congress’s representation in the media, Maken has drawn up a list of 36 people that includes spokespersons and others authorised to appear on TV panel discussions. They have been briefed tightly. Other Congressmen are now not authorised to speak on behalf of the party. Two media coordinators have been designated to handle all of this: SV Ramani and Deepak Amin. TV channels have been informed that each day, they have to inform the coordinators about the topic of discussion and names of other guests invited on the show. Thereafter, spokespersons and panellists are allocated to channels by the party’s media team. On paper, this sounds like a great way to improve the party’s on-air performance. But it does not quite work like that. TV channels despise being saddled with politicians who are neither good speakers nor have a TV-friendly personality. After playing by the new rules for a few weeks, the channels have stopped paying heed. They go and arrange their own Congress spokespersons. Some leaders are only too willing to turn a blind eye to their media unit. For example, Cabinet Minister Harish Rawat is not on the list of 36, yet he has been appearing on TV channels without authorisation. A media unit functionary told a channel that the minister was not authorised to speak on behalf of the party, embarrassing themselves in the deal. The BJP, too, has tried to centralise its TV appearances by releasing a list of seven spokespersons and 23 panellists. There is a feeling in the BJP that its spokespersons are ‘winning’ on-air debates, as best as they can be won. So it has avoided micromanaging its media assignments. As a result, it has too many leaders vying with each other to get on TV. Some BJP leaders are known to have an understanding with the news agency ANI that now provides content to most TV news channels. A reporter appears with a camera early in the morning at their house to take a byte on some topic that’s likely to be discussed that day. The byte is sent early morning to all channels. If one channel runs the reaction, several others follow suit, making it the first reaction of the day. One MP is known for this and his name often appears in the morning news. Recently, after carting several TV crews for Rahul Gandhi’s Kota-Udaipur rallies, the Congress realised they were not getting enough air-time for the expenditure. So for the rally in Jagdalpur, only ANI and some select journalists were invited. All the channels picked the feed from ANI. As the Lok Sabha election inches near, both major parties are preparing for the on-air contest. Their media units are now functioning like newsrooms. Most people acknowledge that TV news does not have much impact on votes. But who can afford to switch off the TV?